Indigestion can cause a surprising number of symptoms. While most are familiar with the burning sensation that can come after eating, indigestion can also trigger abdominal pain, bloating, insomnia, nausea, and even joint and muscle pain. There are many causes of indigestion. It could be that there’s a lack of friendly bacteria in the gut. Or the condition could be triggered by certain foods such as those that are greasy, spicy, or overly refined. Indigestion can also be caused by problems in the gallbladder, liver, or pancreas. Even stress can play a role in an attack. Whatever the cause, if food is not digested properly, the symptoms of indigestion will present themselves. Many people turn to antacids to get relief from indigestion and heartburn. However, this could actually make matters worse. This is because antacids work by neutralizing acids in the stomach. Unfortunately, while this can have a soothing effect on heartburn, it also robs your stomach of the acids it needs for proper digestion. Antacids can also interfere with the absorption of nutrients. The next time you have an attack, why not try one of these herbal remedies for indigestion and see if you can get some relief? First on the list of herbal remedies for indigestion is aloe vera juice, which is a good tonic for heartburn. It can help with other gastrointestinal problems as well. Aloe vera can help repair damaged tissue in the stomach. The herb will also stimulate your digestion glands, encouraging them to function properly, which means less indigestion for you. Aloe is thought to positively affect the liver, kidneys, and gallbladder—organs related to the digestive system. Aloe can also help with constipation. Anise seed, also called sweet cumin, is a popular and effective Mediterranean herb that’s been used for thousands of years. Anise seed is great for boosting your digestive health as it can play a role in promoting the breakdown of foods. Historically, anise seeds have been used to treat abdominal pain, nausea, diarrhea, and gastritis. Anise seed is also thought to improve appetite. This is one of my favorite herbal remedies for indigestion. Parsley can be eaten raw to stimulate normal digestion. This tasty herb also benefits the bladder, kidneys, liver, and lungs. It’s known to boost stomach function. Parsley contains more vitamin C by weight than oranges. Fennel can help ease any abdominal pain or spasms in the gastrointestinal tract. Fennel is also great for easing problems associated with too much stomach acid such as heartburn. This is one of the best herbal remedies for indigestion because fennel supports the healthy functioning of your kidneys and liver. Goldenseal helps fight inflammation and can be useful in the treatment of indigestion symptoms. The herb also boosts circulation and stimulates appetite. It improves digestion and strengthens the immune system. For this reason, along with its beneficial effects in the digestive tract, goldenseal is often used to treat infection. Ginger is the “go-to” herb for all things related to digestion. This is one of the most popular natural remedies for indigestion. It helps ease symptoms of nausea and helps to cleanse the colon. Ginger is an anti-inflammatory, a potent antioxidant, and an antimicrobial too. Freise, J., et al., “Peppermint oil-caraway oil fixed combination in non-ulcer dyspepsia—comparison of the effects of enteric preparations,” Pharmazie 1999; 54(3): 210-5. 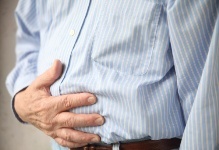 “Dyspepsia: Natural Treatments,” NYU Langone Medical Center web site; www.med.nyu.edu, last accessed June 25, 2013.